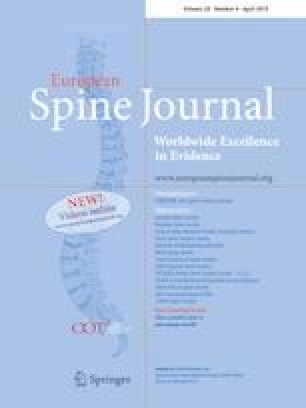 Material failure in dynamic spine implants: are the standardized implant tests before market launch sufficient? International Standards Organization (ISO) 12189 and American Society for Testing and Materials F2624 are two standard material specification and test methods for spinal implant devices. The aim of this study was to assess whether the existing and required tests before market launch are sufficient. In three prospective studies, patients were treated due to degenerative disease of the lumbar spine or spondylolisthesis with lumbar interbody fusion and dynamic stabilization of the cranial adjacent level. The CD HORIZON BalanC rod and S4 Dynamic rod were implanted in 45 and 11 patients, respectively. A fatigue fracture of the material of the topping off system has been found in five cases (11%) for the group fitted with the CD HORIZON BalanC rod. In the group using the S4 Dynamic rod group, a material failure of the dynamic part was demonstrated in seven patients (64%). All three studies were interrupted due to these results, and a report to the Federal Institute for Drugs and Medical Devices was generated. Spinal implants have to be checked by a notified body before market launch. The notified body verifies whether the implants fulfil the requirements of the current standards. These declared studies suggest that the current standards for the testing of load bearing capacity and stand ability of dynamic spine implants might be insufficient. Revised standards depicting sufficient deformation and load pattern have to be developed and counted as a requirement for the market launch of an implant. The online version of this article ( https://doi.org/10.1007/s00586-019-05880-y) contains supplementary material, which is available to authorized users. All procedures performed in studies involving human participants were in accordance with the ethical standards of the institutional and/or national research committee and with the 1964 Declaration of Helsinki and its later amendments or comparable ethical standards.